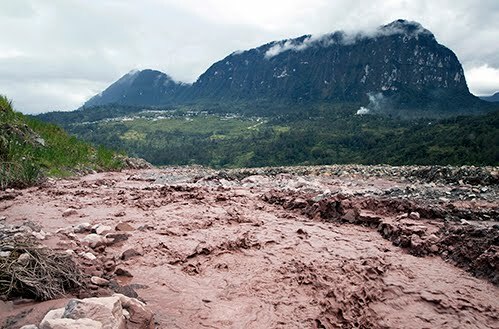 The recent incident of armed illegal miners shootout with mine security guards in Papua New Guinea's Porgera Mine was a result of disagreement in landowner benefits, local landowner leaders from Porgera claimed. A chief and community leader Ekale Kangalia said the recent shootout between armed illegal miners and company securities is a result of the stop on the royalty payments since 2014. He said the cashflow in the area was sustained by the royalties from the Porgera gold mine until infighting in the Porgera Special Purpose Authority (PDA) led to the closure of the account. Mr Kangalia said after years of frustration, the locals resorted to accessing the mine pit to venture for gold to sell and earn money to support themselves and their families. He said the PDA directors’ infighting has forced them to go to the courts to obtain a court order to stop the royalty payments to the landowners. Mr Kangalia claimed the PDA is a government sectioned body that comes under the Porgera Paiala Local Level Government Council and had nothing to do with the landowner royalty. “This is unnecessary court orders when there is nothing to do with the directorship of the board of PDA. A royalty is an undisputed benefit to the landowners. Something has to be done to allow the people to benefit from their rightful benefits to put a stop to illegal mining as the only means of cash flow has been stopped by the court. “Their only benefit is being stopped so the people have no other option but get into the mine and look for gold,” he said. Mr Kangalia is calling on Barrick Niugini Limited and the National Government to look at ways to allow the people to receive their benefit as matter of importance. He said the recent incident of armed conflict must not be taken lightly. “We must know that the landowners are entering into the mine pit armed with high powered weapons to look for gold is the first time since the start of the mine. They have been supportive of the company but they can’t wait anymore so they went in to look for money,” he said. Barrick Niugini Limited management also confirmed shutting down of the mine pit operations after the shootout with armed men. Porgera Landowners Association chairman Tony Mark Ekepa when contacted confirmed the incident.